NASA is still working on the ability to send people into orbit once again, but the US space agency’s astronauts will have fancy new suits when their rocket ship finally comes in. 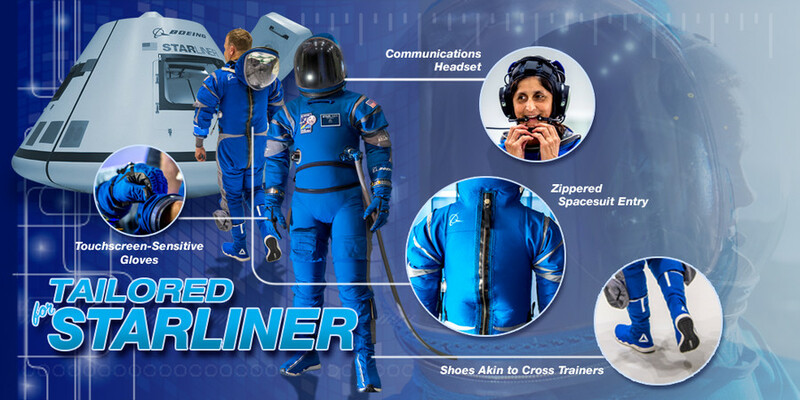 Boeing developed the Starliner spacesuit for use aboard the company’s CST-100 spacecraft, NASA’s eagerly awaited replacement for the Space Shuttle. It was officially unveiled at the agency’s Kennedy Space Center in Florida on Wednesday. The full suit weighs about 20 pounds (about 9 kilograms), some 10 pounds lighter than the suits worn by the shuttle crews. Its material allows water vapor to pass through but retains air, making the suits cooler and more comfortable. 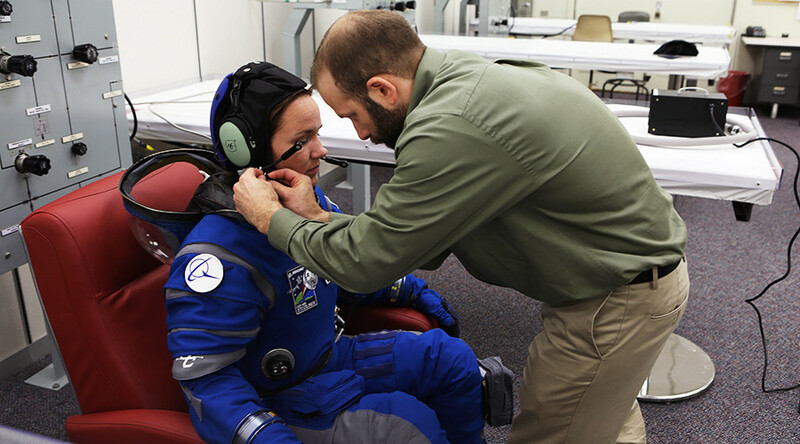 Materials used for the elbows and knees allow for a wider range of movement, while astronauts can adapt the shape of the spacesuit when seated or standing by using “strategically located” zippers, NASA said. Four current NASA astronauts – Boe, Bob Behnken, Doug Hurley and Suni Williams – have been training with the new suit, which also features gloves that allow the wearer to interface with touchscreen displays and controls inside the CST-100. “I was essentially the model for this as they built the suit around me,” said former astronaut Chris Ferguson, who commanded the final Space Shuttle mission in 2011 and now works for Boeing as the director of crew and missions systems. Visually, the outfit is strikingly similar to spacesuits featured in “2001: A Space Odyssey,” the 1968 science fiction film by Stanley Kubrick and Arthur C. Clarke. The CST-100 was designed to carry up to seven passengers into low-Earth orbit, and be reusable up to 10 times with a six-month turnaround, according to Boeing. NASA awarded Boeing a $4.2 billion contract for the Starliner in 2014, as part of its Commercial Crew Transportation Capability program. The spacecraft is scheduled for unmanned testing in June 2018, with a crewed test following in August. If all goes well, the CST-100 will deliver two astronauts to the International Space Station in December 2018. Currently the only spaceship capable of transporting crew to the ISS is the Soyuz, a modernized Soviet design operated by the Russian space agency Roscosmos. In addition to Boeing’s CST-100, NASA is hoping to use SpaceX’s Dragon 2 ship, due for a crewed orbital test in May 2018.